I worked with Studio Ghibli and Mondo to create these two posters for one of my favourite movies. I still can’t quite believe this, it’s such a huge honour. 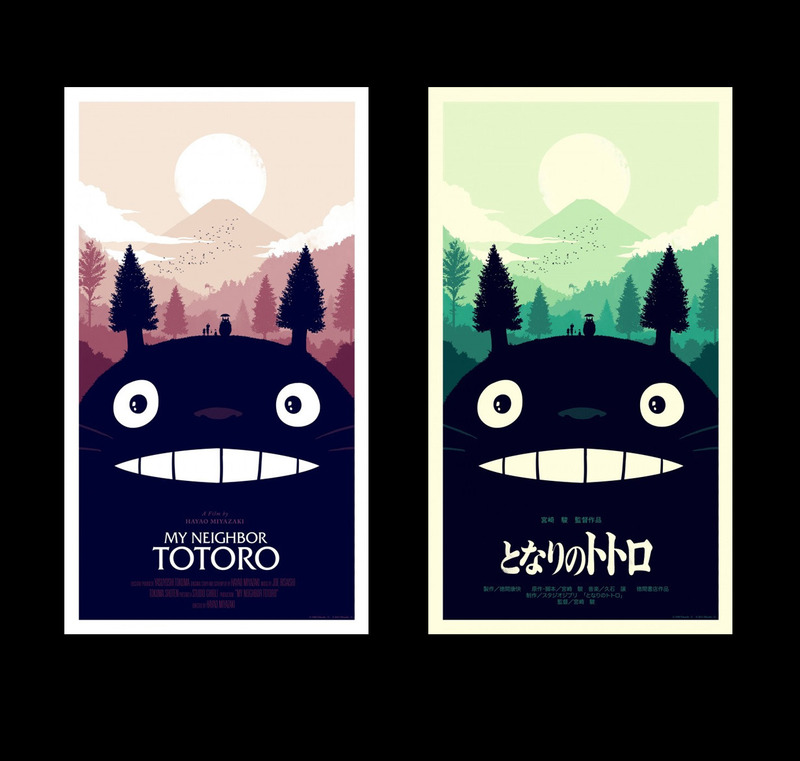 My Neighbor Totoro is a 20x36 8-colour screen print. It’ll be for sale from Mondo soon and, as usual, I will have some signed APs for sale at some point later. My birthday is coming up. Totoro is one of my favourite films. Coincidence?